Checkered Cottage - Paper Crafting Supplies, Gifts, Ideas and More! On the day of class only, proceed to the Downtown Kirkwood Business office located at 130 E. Jefferson (just across Kirkwood Rd. on the south side of the street). There you can purchase a one day parking pass for a mere $5.00. This will allow you to park the entire day with no hassle. Thanks to the generosity of our neighbors at St.Peters Parish, you may park on their lot which also gives you sanctuary from parking fines! Their lot is located at the corner of Clay and Jefferson. We feel these are two good solutions that will keep you from running out in, what could be, inclement weather to move your car every two hours. We are constantly trying to make your experience at the Cottage as enjoyable as possible. We hope that between the new classroom and these new suggestions for your parking needs, you'll find your class taking time will be much more relaxed and productive. please go to our supplies section of the website. different from those on class samples. 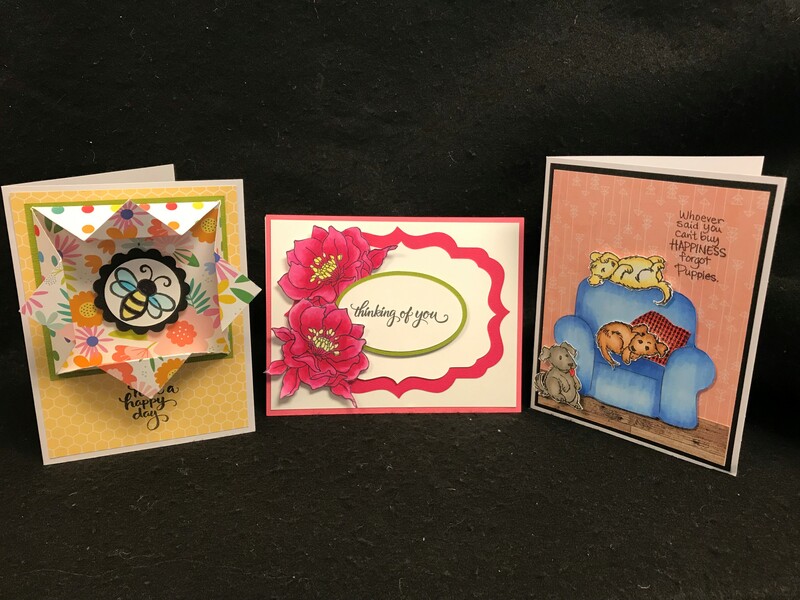 APRIL MONDAY CARDS - Jan has designed these 3 all occasion cards with the happiest of sentiments both inside and out. You'll be doing some layering and cutting and accenting with copper Mirricard. Beautiful cards in muted spring colors. COPICS WITH MARY - The combination of Doodlebug papers along with Stampendous stamps make these 3 cards great to send for any occasion. Each card is a little different size and has a different theme from bees, to puppies to flowers making them so fun to work on! Bring your Copics and have fun coloring with Mary. MAY SILHOUETTE - Learn to use one sketch design to create three different looks to use on your cards or as gift tags. You'll be working with the new Foil Quill and if you don't have any, you can try out Jan's. 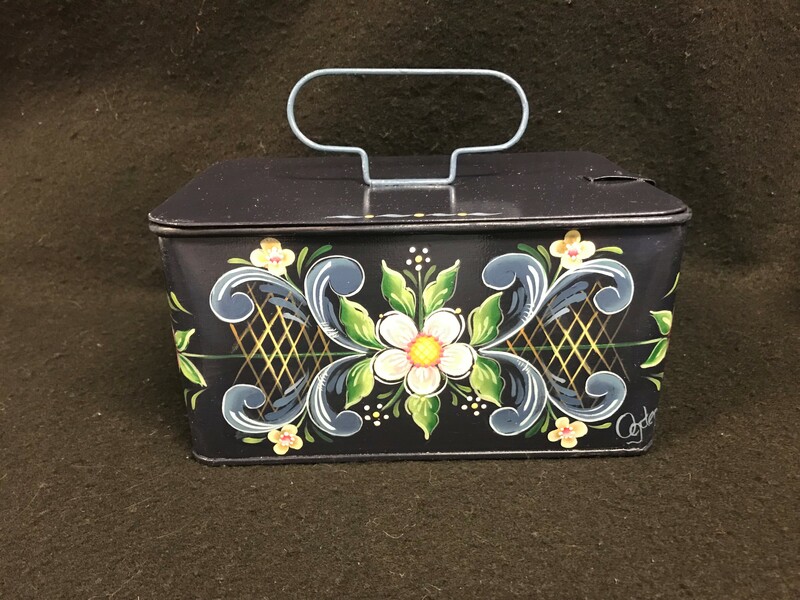 ROSEMALING BOX - Your surface for this class is a cute metal box with wire handle. The design is an original by Judy Diephouse. The technique that you'll be doing is rosemaling which is a traditional form of decorative painting which originated in the rural valleys of Norway circa 1750. Class Date: This is a multi-week course. Related session dates are indented under the first session date. 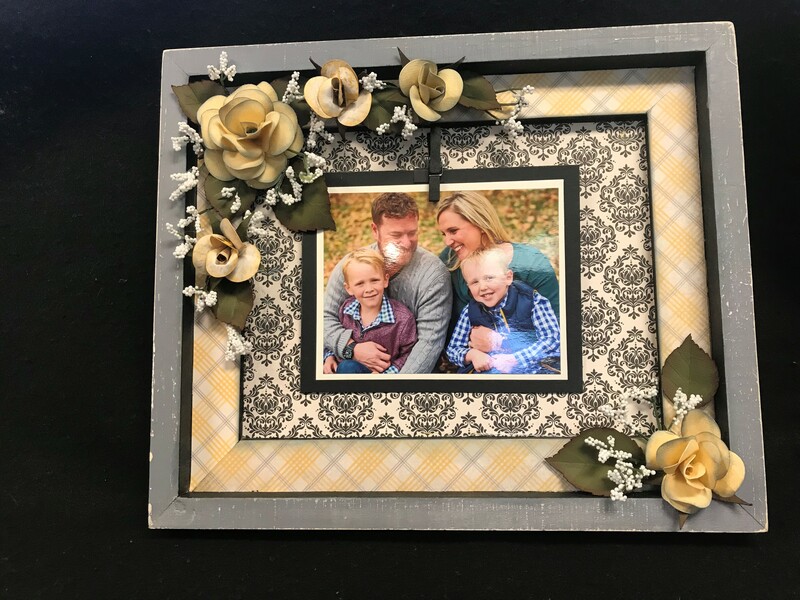 FLOWER FRAME - You'll be working with a frame (approx. 10"x13") and covering the inside mat and backing with the very pretty Poised collection from Authentique. Mary will teach each of you to make the beautiful paper flowers that cover 2 opposite corners of your mat. You just need to add a favorite photo for this stunning framed work of art to be ready to hang. Price of class includes the frame. 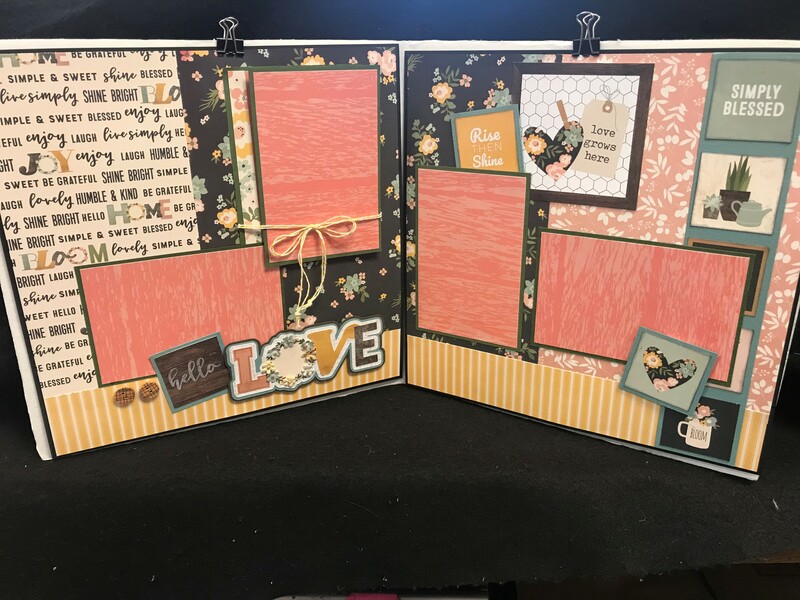 MAY SCRAPBOOKING WITH JAN - Jan has created some fun scrapbooking pages Simple Stories Farmhouse collection. You will add a cute interactive picket gate as a fun accent to these pages. 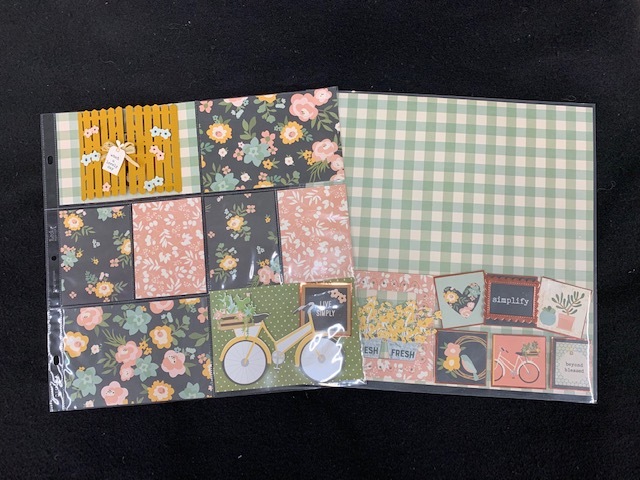 FAMILY LOVE SCRAPBOOK WITH AMY - Amy has chosen the Spring Farmhouse collection from Simple Stories for this month. The theme is Family Love. Lots of meaningful sentiments on these pretty floral pages along with several spots for your personal pics. WATERCOLOR PENCILS WITH ZIG BLENDER PEN - In this class we will be learning to use the new Zib Blender Pen with watercolor pencils. Bring your Zig Blender pen to class or if you don't have let the store know ahead of time and Kathi will order one for you for $3.00 Kathi will have 4 sets of watercolor pencils to share or you can bring your own. Picture is currently available on facebook or come see in person at the cottage. PUG HUGS - In this class we will be making 3 cute play on words cards using Newton's Nook Pug Hugs. You will take home the set of stamps from this class. 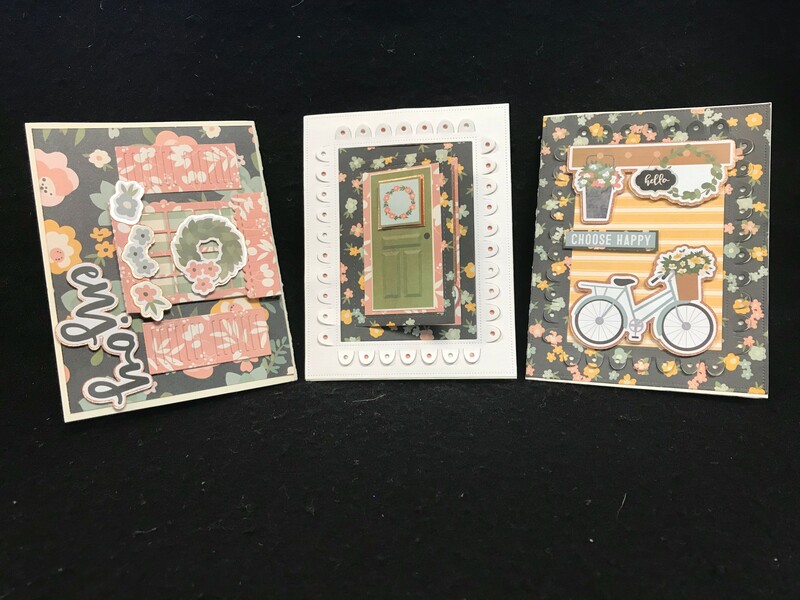 Kathi will prestamp and using the dies cut out the images for you to use your Copic Markers to complete and assemble these cut cards. 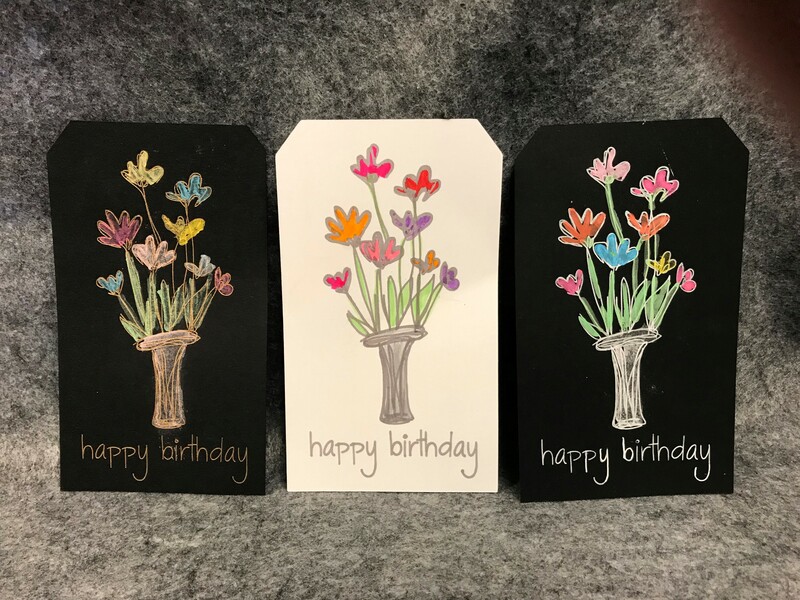 AMY'S CARD CLUB - Amy has designed three super cheery birthday cards for this month. You'll be stamping with and taking home a fun stamp set from Concord & 9th. Pretty sure you'll use this stamp over and over for all your birthday cards. Just add a few jewels and some twine and your cards are ready to send. AMY CARD CLUB - TAKE 2 - Anyone that was here for Amy's Card Club morning class has the option to stay and make 3 more cards using your Concord and 9th stamp set. These cards are a variation of the cards made in the morning with some different embellishments and cardstock colors. A NEW TECHNIQUE FOR POLISHED S TONE - In this class we will be learning a new way to do the old polished stone backgrounds with some products you may already have in your craft room. 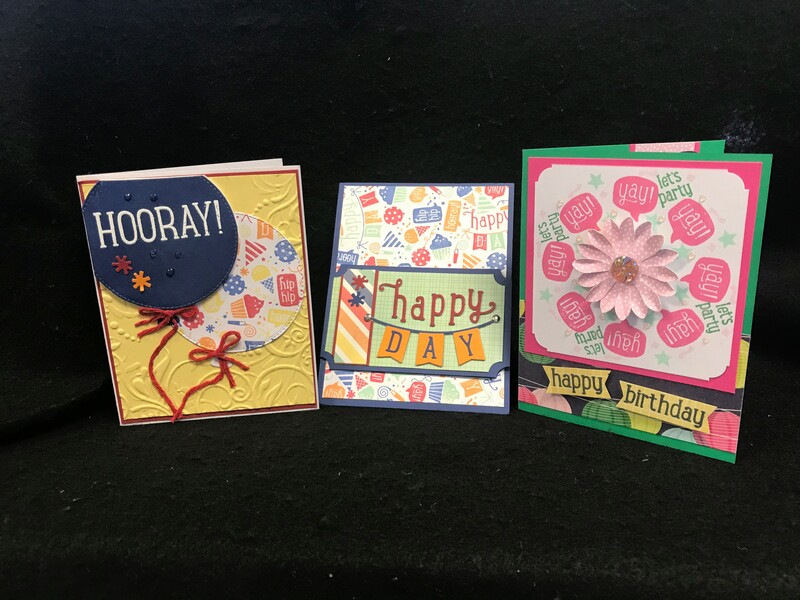 Also we will be using Hero Arts big word dies and colorful embossing powders to make attention getting greetings for your cards. 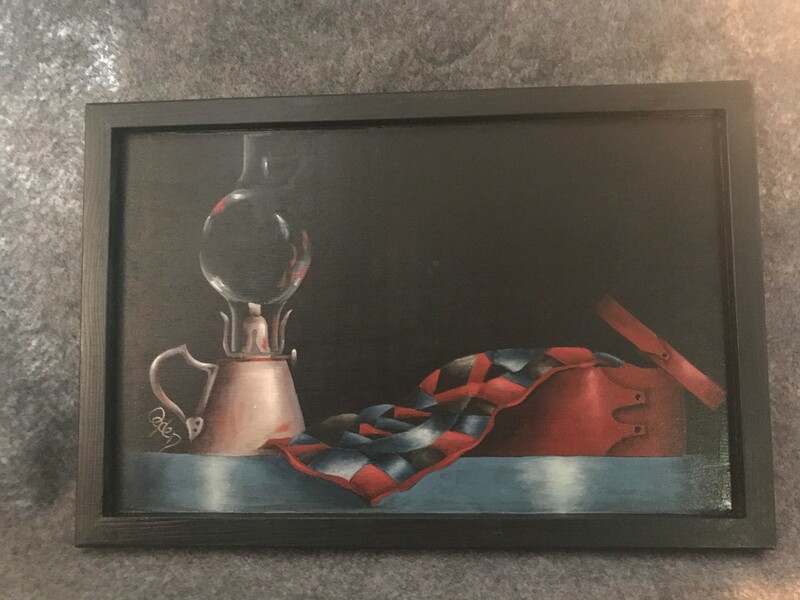 AMISH STILL LIFE - This delightful little Amish still life is an original by Ann Kingslan, MDA. This framed surface measures 12"x 8" and is painted in subtle tones of blues, reds and metallic like tones. A beautiful accent piece in any room. 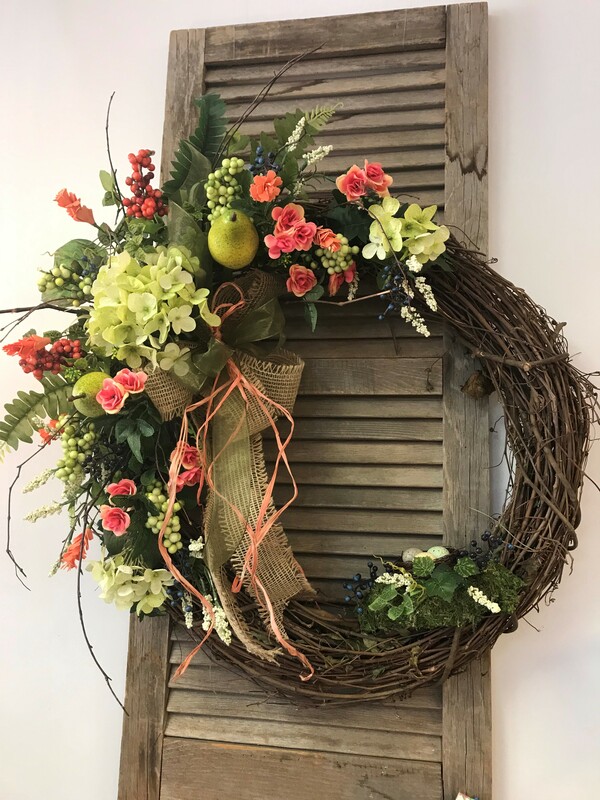 WREATH - Mary has designed this magnificent wreath in the very pretty colors of corals, blues, greens and whites incorporating berries and pears accented with ribbons in burlap, sheer and rafia. You'll build on a grapevine wreath approx. 22" in diameter. A stunning wreath to hang year-round.